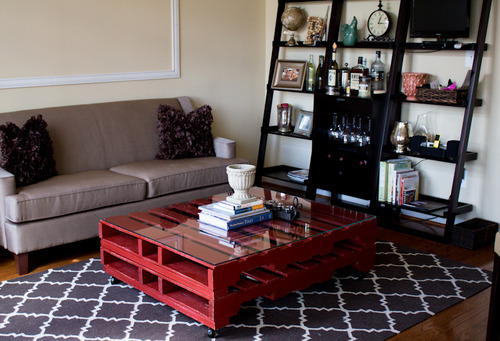 So, you want to make a pallet coffee table? To find a used pallet for furniture, visit your local grocery store to see if they have pallets to build a coffee table. If they have an overstock of pallets, you may be in luck. If you aren’t as lucky, visit Old World Garden Farms blog for suggestions on finding a pallet or reclaimed wood. The next step is to add paint to your coffee table. We’ll leave that up to you. Lastly, you will want to find a custom cut glass top for your coffee table. Just measure the dimensions and place your order on Dulles Glass & Mirror. We have a large selection of custom table top sizes and shapes. The Long-Awaited “How to Build a Coffee Table Out Of Pallets” Post.